Assistant Attorney General for National Security John Carlin and United States Attorney for the Southern District of New York Preet Bharara announced that Adel Abdel Bary, aka “Adel Mohammed Abdul Almagid Abdel Bary,” aka “Abbas,” aka “Abu Dia,” aka “Adel” (“Bary”), pleaded guilty in Manhattan federal court to international terrorism charges in connection with Bary’s work on behalf of al Qaeda and the Egyptian Islamic Jihad. Bary was extradited to the United States from the United Kingdom on Oct. 6, 2012. Bary pleaded guilty to a three-count superseding information charging him with conspiring to kill U.S. nationals, conspiring to make a threat to kill, injure, intimidate, and damage and destroy property by means of an explosive, and making such a threat. Following the defendant’s plea of guilty, Judge Lewis A. Kaplan asked for further information regarding the basis of the plea agreement which the parties will provide within a week. This fatwah stated that Muslims should kill Americans – including civilians – anywhere in the world where they can be found. Then again, on Aug. 4, 1998, EIJ published a statement threatening to retaliate against America for its claimed involvement in the apprehension of EIJ members. A copy of this statement was found in an office used by Bary and his London-based co-conspirators. While in London, Bary pledged his commitment to pursue the goals of EIJ and to follow the orders of the leadership of the group. Many of the leading members of EIJ became influential members of al Qaeda, including indicted co-defendants Ayman al Zawahiri and indicted co-defendant Muhammad Atef, both of whom later sat on the majlis al shura (or consultation council) of al Qaeda. Zawahiri is now the declared leader of al Qaeda. On Aug. 7, 1998, three days after EIJ published its threat to retaliate against America, al Qaeda operatives bombed the United States Embassies in Nairobi, Kenya, and Dar es Salaam, Tanzania, killing 224 people. Bary transmitted, via international telephone calls to the media, the contents of al Qaeda’s claims of responsibility for the Aug. 7, 1998, bombings. These claims of responsibility included threats of future terrorist attacks by al Qaeda and its allies, and were sent from London, England, to media organizations in France, Qatar and the United Arab Emirates on Aug. 8, 1998 – the day after the embassy bombings. In August 1998, both before and after the bombings, Bary additionally arranged for messages to be transmitted from members of the media to his co-conspirators, including Bin Laden and Zawahiri, and conveyed messages from his co-conspirators, including Bin Laden and Zawahiri, to members of the media. Bary also used an office in London, which he shared with co-conspirators, to store documents, including the claims of responsibility described above, as well as for other conduct related to the conspiracy to murder U.S. nationals. In connection with his role in transmitting al Qaeda’s claims of responsibility for the bombings of the U.S. Embassies in Nairobi, Kenya and Dar es Salaam, Tanzania, Bary pleaded guilty to one count of conspiring to make a threat to kill, injure, intimidate, and damage and destroy property by means of an explosive, which carries a maximum term of 10 years in prison, and one count of making such a threat, which carries a maximum term of 10 years in prison. 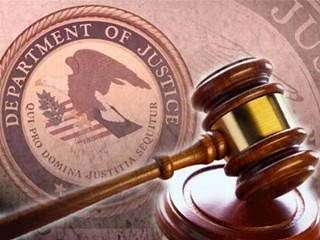 In connection with his role in the conspiracy—led by Bin Laden and Zawahiri—to attack American targets around the world, Bary pleaded guilty to one count of conspiring to kill U.S. nationals, which carries a maximum term of five years in prison. The maximum potential sentences are prescribed by Congress and are provided here for informational purposes only, as any sentencing of the defendant will be determined by the judge. Two co-defendants, Khalid al Fawwaz, aka “Khaled Abdul Rahman Hamad al Fawwaz,” aka “Abu Omar,” aka “Hamad,” and Anas al Liby, aka “Nazih al Raghie,” aka “Anas al Sebai,” are scheduled to commence trial on Nov. 3, 2014, before Judge Kaplan. The charges contained in the indictment are merely accusations, and the defendants are presumed innocent unless and until proven guilty. U.S. Attorney Bharara praised the outstanding efforts of the Federal Bureau of Investigation, the New York City Police Department, the United States Marshals Service, and the Metropolitan Police Department of London, England (New Scotland Yard). U.S. Attorney Bharara also thanked the U.S. Department of Justice’s Office of International Affairs and National Security Division for their ongoing assistance.